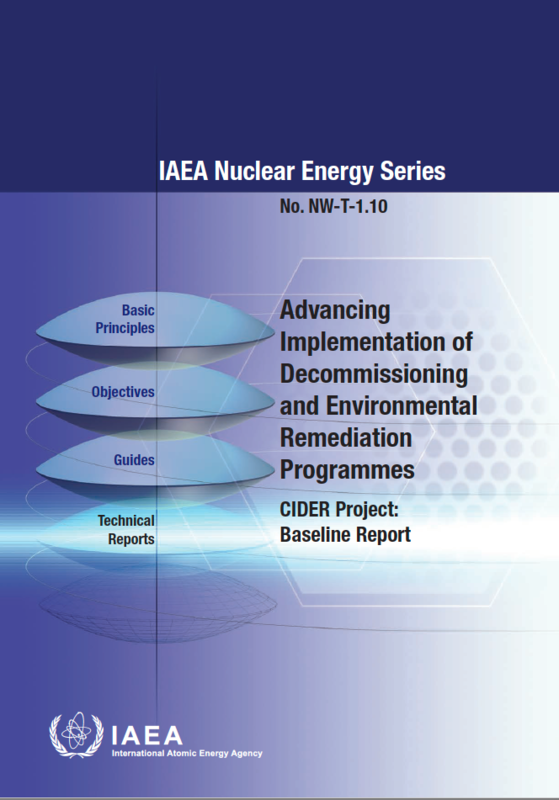 Merience contributed to drafting and reviewing the recently published IAEA report on “Advancing Implementation of Decommissioning and Environmental Remediation Programmes” as part of the CIDER (Constraints to Implementing Decommissioning and Environmental Remediation) Project. The report identifies the different constraints that can impede the decommissioning of facilities and environmental remediation of contaminated sites (constraints related to national policy and legal and regulatory framework; technological issues and infrastructure; resource and programme management constraints; societal constraints) and proposes approaches to overcome them. Examples and case studies are also included to illustrate the strategies and communicate the lessons learned.